MDG 8.18: “In cooperation with the private sector, make available the benefits of new technologies, especially information and communications technologies”. A few short years later the World Summit on the Information Society built on these humble beginnings to develop an increasingly detailed account of specific ways in which ICTs could contribute to the other 7 Goals. I took part in the WSIS process in Geneva 2003 and in Tunis 2005. I was there as CEO of Computer Aid International and as a member of the Association of Progressive Communications team trying to shape World Summit policy on ICT4D. Despite all of the frustrations and limitations of that process - and there were many - the ITU did a great service in convening the WSIS process and the resulting 'action lines' are one of the most detailed articulations of digital development goals (see below). The ITU website on the Global Goals also provides a great overview of the individual SDGs, which allows you to navigate around the 17 SDGs for illustrative case studies, and of ICT use. 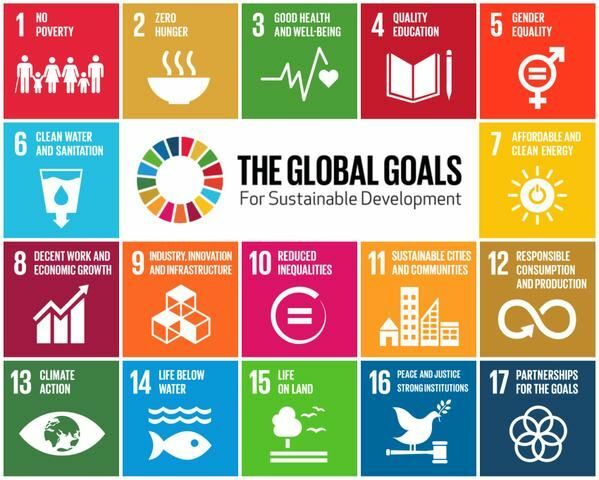 Since the new Sustainable Development Goals were announced Professor Tim Unwin from the ICT4D Centre at Royal Holloway has blogged his disappointment that the SDGs make insufficient mention of the role of ICT for Development (ICT4D). However Ritse Erumi has blogged that at least some of her colleagues at Manchester University's Centre for Develoment Informatics think that this may not be a bad thing. Whatever we think, the truth is that ICTs are explicitly mentioned mentioned in SDGs 5, 9 and 17.
to promote the empowerment of women". 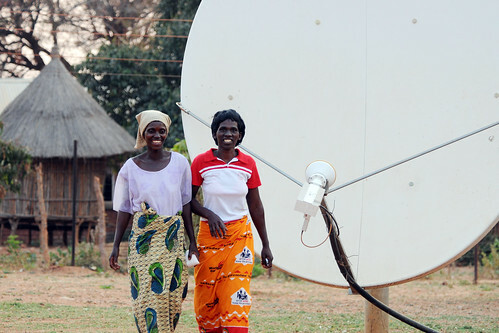 universal and affordable access to the Internet in least developed countries by 2020". in particular information and communications technology". Tim's specific disappoint however is the absence of any mention in the SDGs of disability and the important contribution that ICTs can make there - as well as no explicit mention of the ways that ICTs can contribute to the other SDGs. As if to address these gaps the propellor heads at WSIS have again distinguished themselves by producing comprehensive documentation of the wide range of contributions that ICT can make across the 17 SDGs and the 169 SDG targets. The WSIS Matrix cross tabulates the Global Goals and targets with WSIS action lines on ICTs and the WSIS SDG Booklet is perhaps the most comprehensive and well laid out publication in this regard? Elsewhere Ericsson has provided funding both for Jeffrey Sachs' Earth Institute as well as the Broadband Commission to produce publications that provide detailed illustration of the many contributions that ICTs can make towards the SDGs. The NetHope SDG Playbook covers similar territory but goes beyond listing opportunities and providing good examples - it provides a more systemic overview to support organisations in strategising how to operationalise ICTs in pursuit of the SDGs. All of these publications serve as useful starting points and primers in ICTs and the SDGs. Their strength is their clear illustration of positive possibilities and their uncritical optimism. As a result they do a good job as supporting collateral for mobilising a constituency of support for ICTs and the SDGs. The gap that is left by this existing literature is for a more critical review of ICTs and the SDGs. The publications mentioned avoid any mention of the downside potential for ICTs to increase inequality, create eWaste, threaten privacy, or provide an online platform for violence against women. A gap also exists for the kind of meta-research that could provide a basis to inform practioners and policy makers trying to select from the massive array of apps and platforms now available the ICTs that are most appropriate for their own work on SDGs. It is also the case that none of the literature that I found addressed the monumental gap that exists between the finances currently available and the USD$30trillion it is estimated is necessary to actually deliver against the 17 goals and 169 SDG targets. In the year ahead ICTs and the SDGs will feature in many ICT4D conferences including a dedicated stream in Java in May 2017 and every day there is more being written ICTs and the SDGs - including this by SPIDER - so no doubt these gaps will soon be filled. Let me know what publications I have overlooked and should have included here. When more critical research and commentary become available in the months and years ahead it may be worth making a future posting here?